For the past several weeks, Route 495 in Wilmington has been shutdown and this has added an additional 30 minutes to my daily commute. Now that I am getting home later, I’m trying to come up with fast and easy dinner recipes. 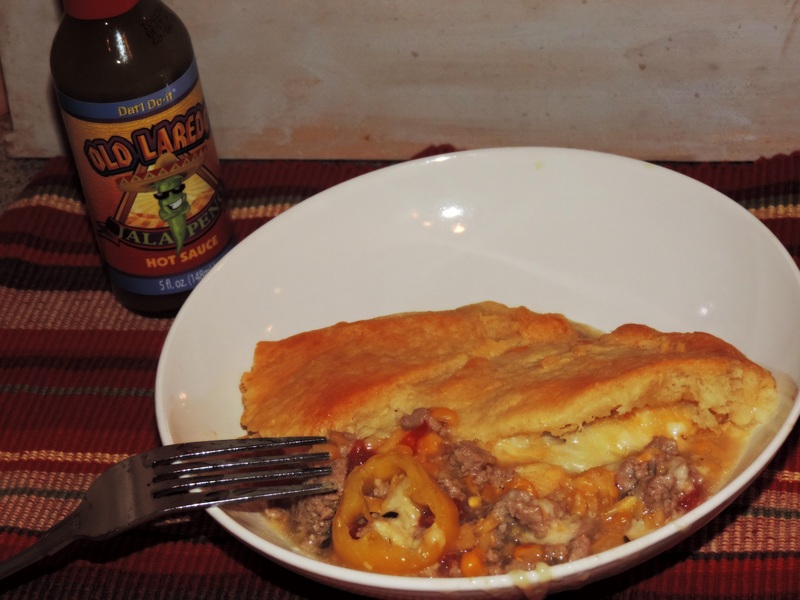 I found one online for a Chicken Tamale Skillet Pie, but changed it up a bit to use what I already had in the kitchen. Pre-heat the oven to 350 degrees. 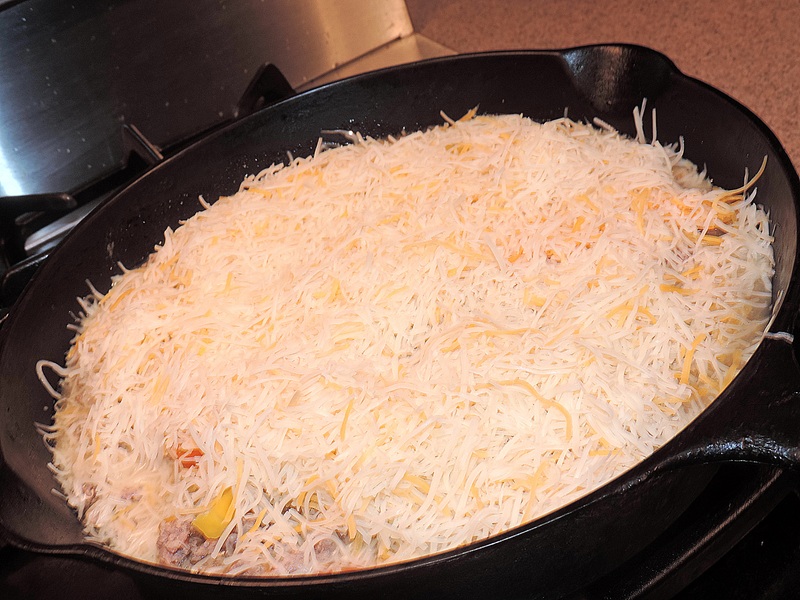 In a cast-iron skillet brown the ground turkey on medium high heat for 10 minutes or until brown. 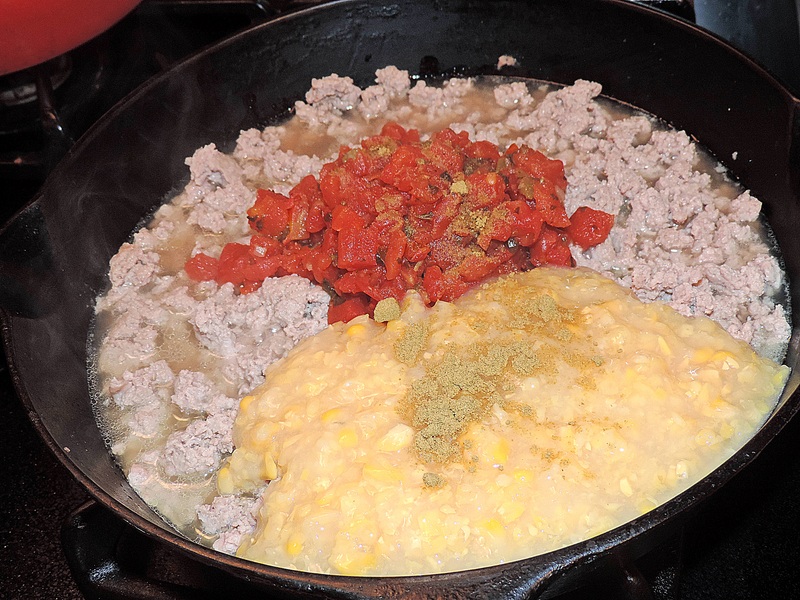 Add a can of Cream Style Corn, a can of Ro*Tel tomatoes and ground cumin. 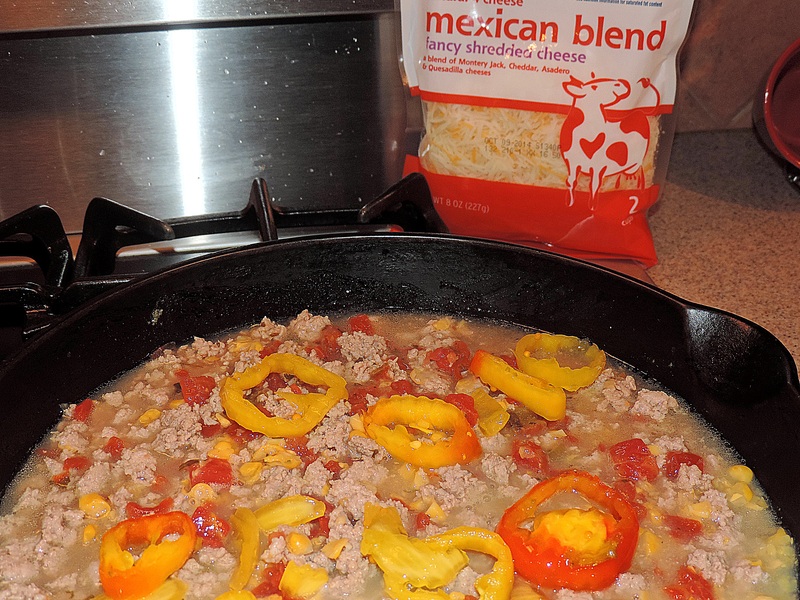 Cook for 3 minutes or until thoroughly heated, remove from heat, add a few sweet peppers then top with cheese. Cover with crescent rolls and put into oven to bake for approximately 20 minutes or until dough is golden brown. 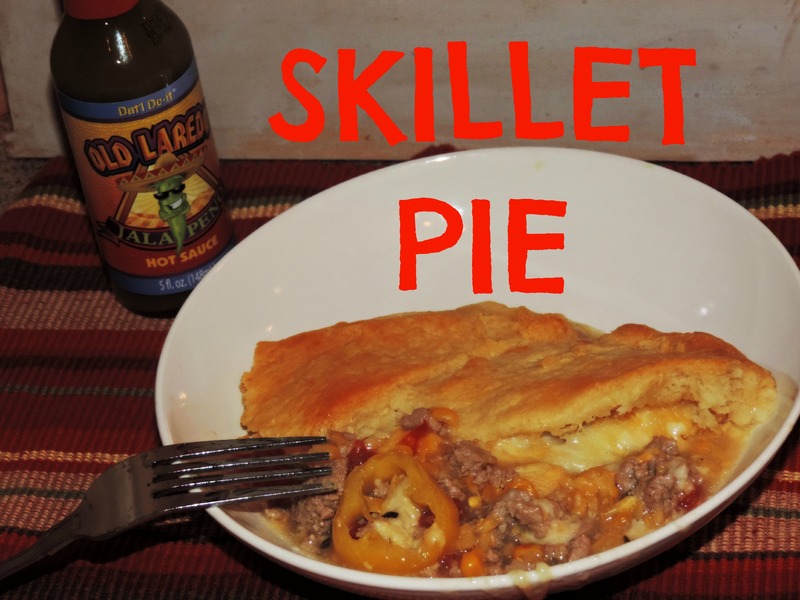 This was a great meal and my men loved it, the next time I am going to use shredded chicken. 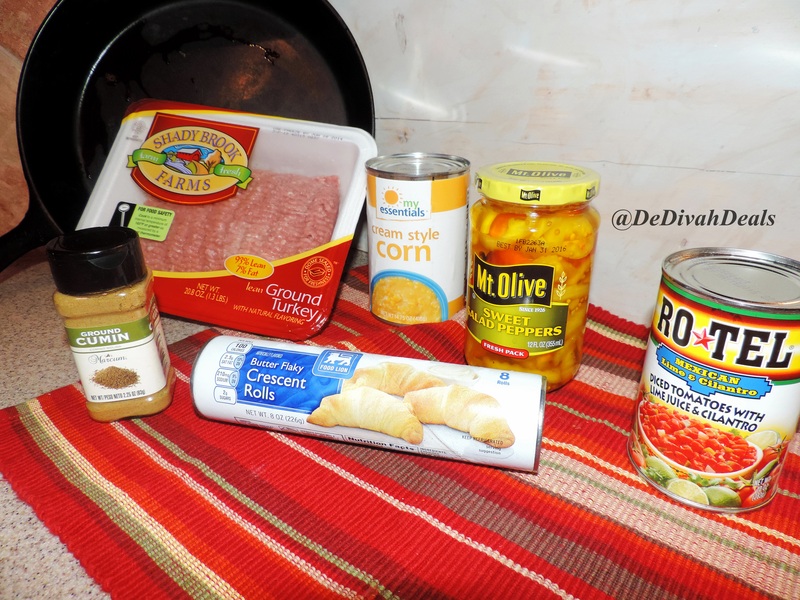 Do you have any quick and easy dinner recipes that you can share? I want to try some! Looks delish! It was and easy too! Let me know if/when you make it. Omg this looks absolutely delicious! It was, you have to try it – so easy!! Looks so good, and so easy indeed! 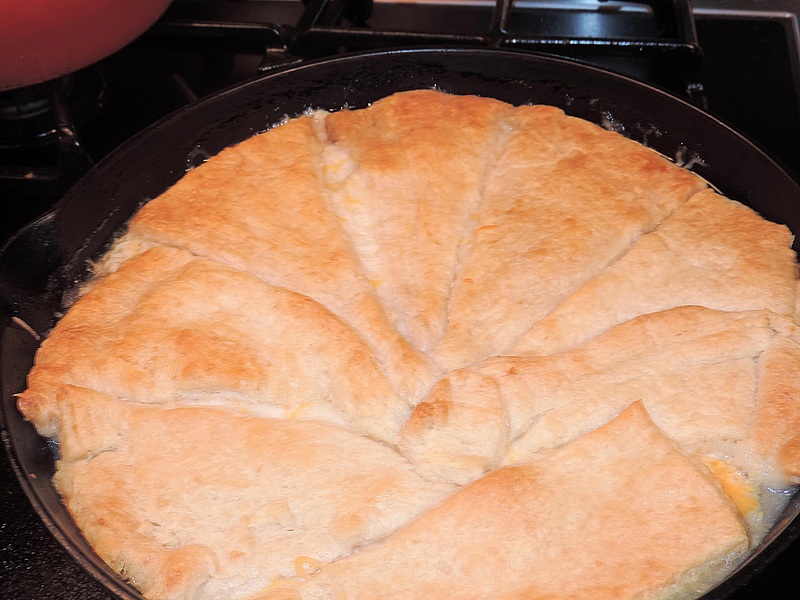 I love the crescent roll crust. Yes, it was nice and crispy.